Jess: Each week I scour Kickstarter for the most exciting, entertaining, or oddball Kickstarters I can find and list them off here for your convenience! Oh dear. Ryan Laukat is Kickstarting a new game. Here just take my money… Seriously though, I love his games and Roam looks like a wonderful addition to his series of games set in the world called Arzium. In the game, a sleeping sickness has struck the land and the players must search out those afflicted and wake them. 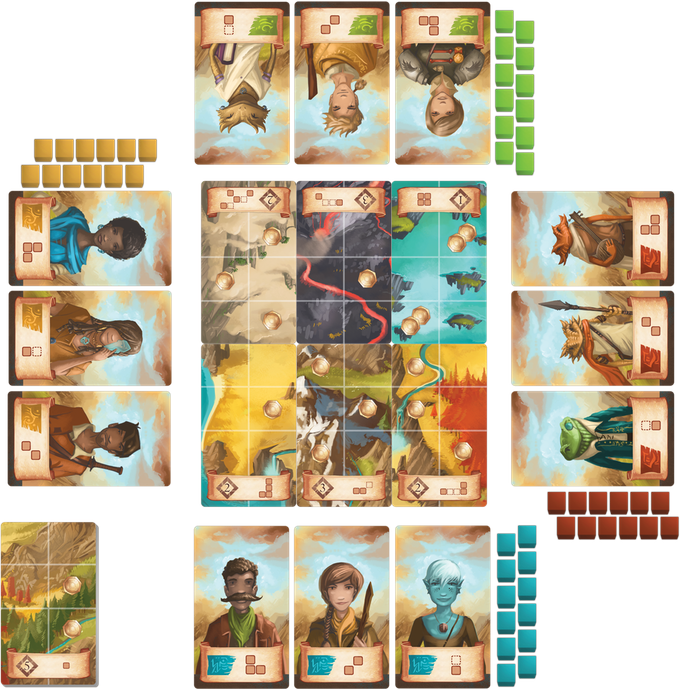 Each turn, players will activate one of their adventurers and can search the board spaces indicated on that adventurers card. There’s a bit of area-control here as each landscape card has multiple search spots and once all spaces are revealed, whoever searched the most spots on that card claims it and the lost adventurer they find there. You’ll also discover coins which you can spend on special actions or buying powerful artifacts. The game ends once 1 player has 10 adventurers and whoever has the most points wins. 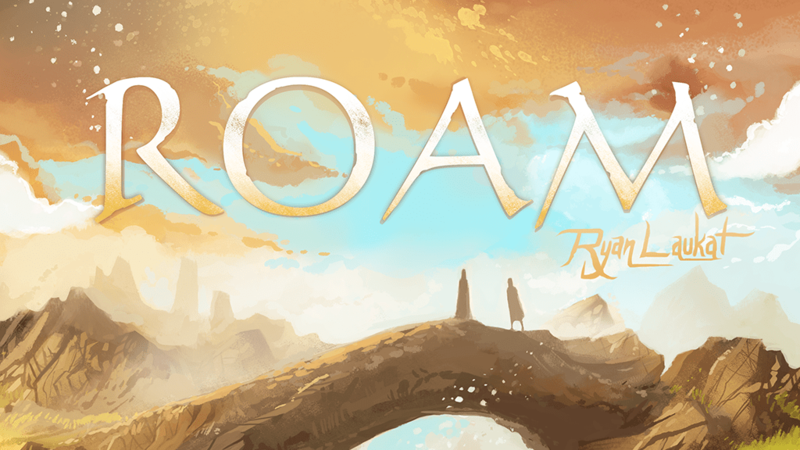 Roam promises to be a lighter game than previous titles in the series, but I’m confident it will be a fun time. Learn more about Roam on its Kickstarter campaign here. Promenade is an economic, deck-building for 2 to 4 aspiring art collectors. The goal of the game is to earn the most victory points by purchasing and exhibiting impressionist paintings. 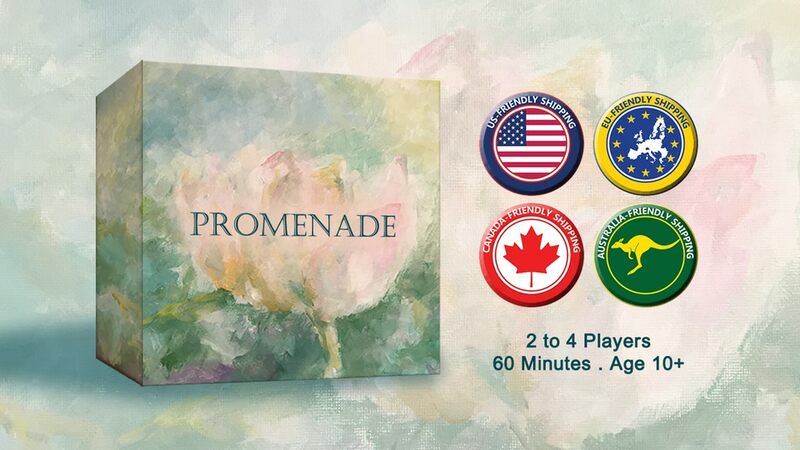 The interesting twist in Promenade it that as paintings are bought the market value for their genre (color) goes up for all players, making cards of that genre more and more valuable as the game goes on. You can also add value to your paintings by exhibiting them in galleries. I’m not usually into economic games as market speculation kinda bores me to tears, but in this case the simplified market and deck-building mechanics make it much more appealing and I love the theme. If you want to learn more check out Promenade on Kickstarter here. Butterflies are the name of the game in Papillon (hahahaha Andrew, don’t fire me). In this tile drafting, tableau building, area control game, players seek to build the best garden in hope of attracting butterflies and gathering nectar. 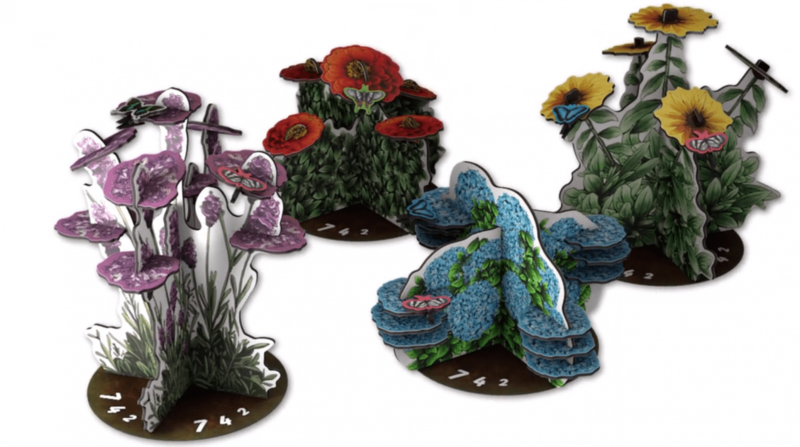 Each turn players must bid caterpillars to choose field tiles that display sections of flower beds. When anyone completes a flower bed, they can place their butterflies on potted flowers matching the completed flower bed. Whoever has the most butterflies on a flower pot earns nectar points. The player who has the mos t points from nectar, butterflies, flower patches, and caterpillars wins the game. Papillon looks beautiful and strategic and I love the 3d element of the potted flowers. 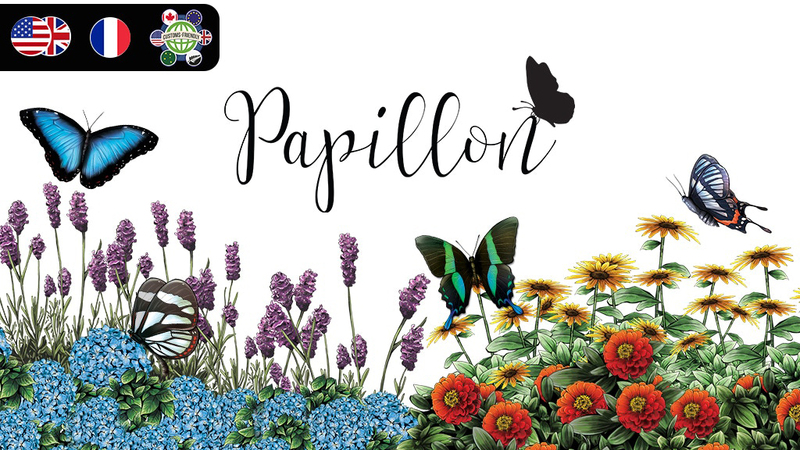 Check out the Papillonon Kickstarter here for more info. 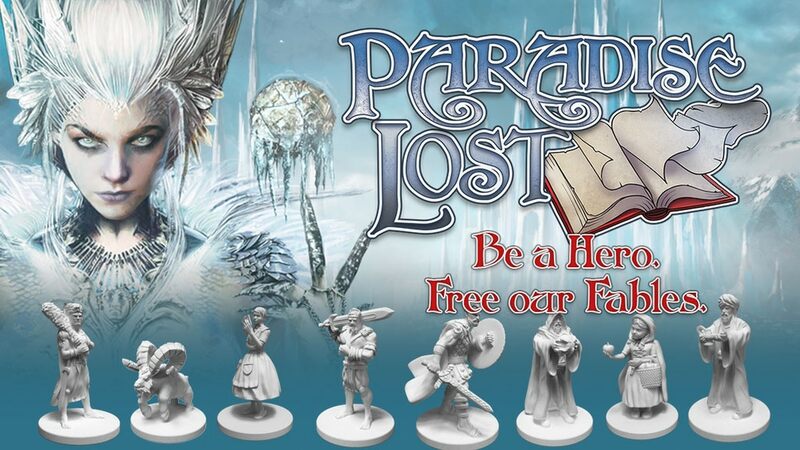 Paradise Lost is a fantasy deduction game where players take on the roles of legendary heroes fighting against the one of the minions of the evil Water Witch. At the beginning of the game, the identity of the minion is unknown and players need to figure out who they are facing and what weapon will bring the evildoer down before they can win. Players will explore the map, encountering locations where they can gain or exchange resources and acquire rare scroll pieces which, when combined, will reveal the minion’s identity or weakness. They can also narrow down the suspects by coming together to visit one of the oracles. Each oracle can reveal one of the minion cards not in play and give players special advantages depending on the order they arrived in. Paradise Lost is beautiful and gives us an interesting twist on the deduction genre. 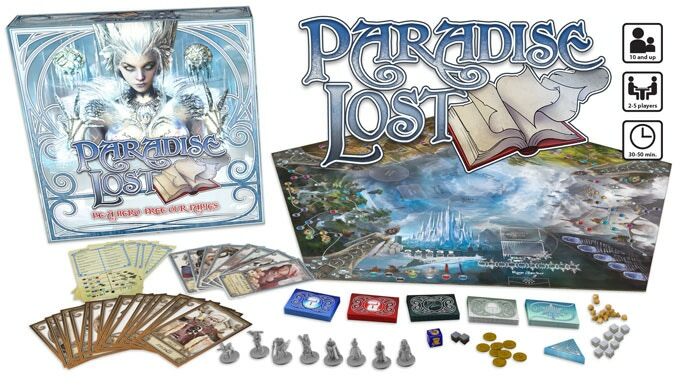 Discover more about Paradise Lost on Kickstarter here. Based on a popular video game, Kingdom Rush: Rift in Time, is a cooperative, hand-management/tower-defense game where players are doing their best to fight off the armies of the Time Mage. In the game, everyone will work together to build towers to defend the kingdom while the Time Mage is opening portals to mess with them. Kingdom Rush: Rift in Time has a couple of neat elements. The hordes of monsters are represented by 5×5 grids and the towers shoot damage tiles in different shapes that can be placed over the monsters to eliminate them. This makes fighting an interesting spatial puzzle to be solved. The other neat aspect is that the towers come off the board at the end of each round and you can only upgrade them by passing them to another player. So you need to choose carefully as to if you want to redeploy a tower to fight monsters or to pass it along to make it stronger. Kingdom Rush: Rift in Time looks like a fun mix of tower defense and puzzle solving. 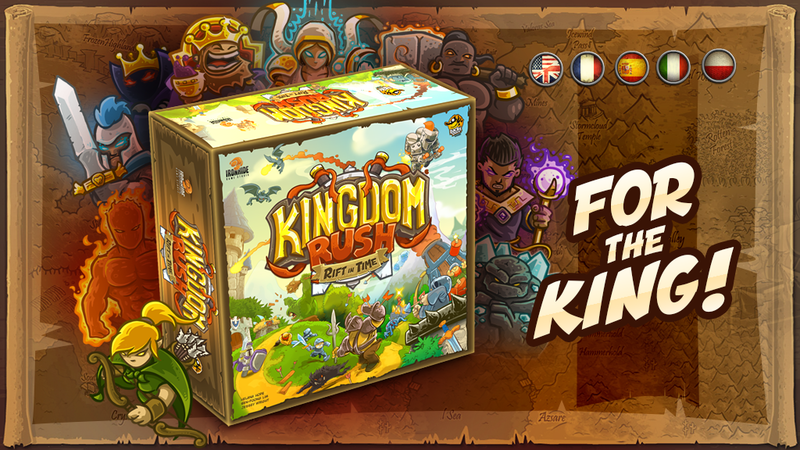 If you’d like to learn more, head on over to the Kingdom Rush: Rift in Time Kickstarter here.